I’ve spent years trying concealers from various different brands, and various different price tags. Out of all my testing I have found many I’ve fallen head over heels for, and others I can’t stand. Today I wanted to share my opinions on my favourite concealers. 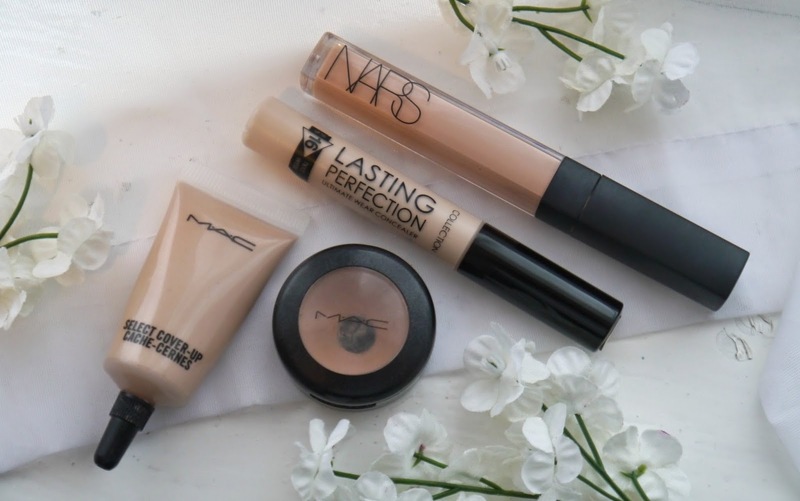 I have a few favourites as I find certain concealers work best for different areas of my face. I still haven’t found ‘the one’ that can conceal blemishes, redness and be moisturising enough for under eyes *sigh*. For blemishes my favourites have to be the MAC Select Cover-Up and MAC Studio Finish. It depends how noticeable the blemish is as to which I use. I don’t use them daily as I don’t find I need the extra coverage everyday, only if I have a super noticeable blemish. 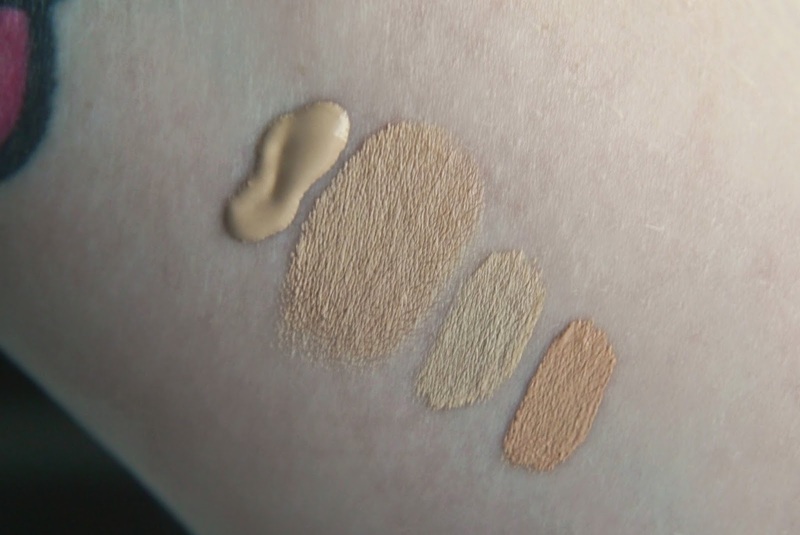 The MAC Select Cover-Up in NW20 is best for when my skin is dry, it’s easy to blend and can be layered for even more coverage. This is the concealer I use most for blemishes, it can cover anything without looking caked on, I love this stuff. I used to use this as a full coverage foundation, especially on holiday when I went out in the evening as you only need a super tiny amount to cover the whole face. I really love this as either a concealer or foundation. MAC Studio Finish in NW20 is also another favourite of mine. I use this mainly for blemishes, and occasionally under my eyes. This stuff only comes out when heavy duty coverage is needed as it is thick, so I only really use it when I’m going out for an occasion or if I know I’ll be photographed. I love using the Nars Radiant Creamy Concealer in Honey under my eyes as it’s orange toned so works great to cancel out dark circles followed by my usual under eye concealer. I find it too dark to use it alone at the moment as my tan has faded, but it works great alone to conceal redness when I have a tan. I need to get it in a lighter shade now I’m pale again, so until I pick it up in a lighter colour I’ll stick to using is as an under eye corrector. To cover my under eye circles I swear by the Collection Lasting Perfection, which is a beauty blogger favourite. I always used to use this, until I discovered MAC Pro Longwear but when I fell out of love with the Pro Longwear I went back to Lasting Perfection. I have been using this for the past few months and I’m in love with it. I use the fair shade to lighten my under eye area and this works great. It is similar to the Nars Radiant Creamy Concealer but slightly lighter feeling on the skin. And at only £4.19 its totally worth a try. Hope you enjoyed the post, what’s your favourite concealer?